Discover campsites of Manche France but also over 450 campsites throughout France, offering a variety of rental mobile homes, chalets and accommodation of more atypical as bungalows or caravans, but also leisure facilities such as aquatic areas with sometimes an indoor or well even with heated pool for your comfort, for an unforgettable vacation. Welcome and enjoy your visit in Manche (50) . 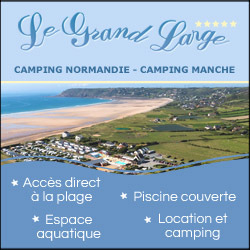 Campsites in Manche welcome you to your camping holiday 2, 3, 4 and 5 star or LRP. 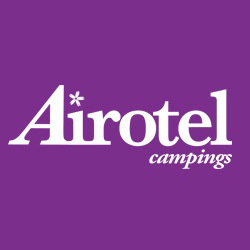 Campsites with recreational facilities (swimming pool, water park, water park, water slides, wading pool, spa, playground, tennis court, multi-sports), entertainment and services (restaurant, bar, food, WiFi access, disabled access, camper services) to make the best of holidays throughout Manche. Traditional camping in Manche on pitches or rental of mobile home camping, campsites below offer the best camping in Manche. Enjoy the outdoor accommodation and campsites in Manche! Rental of mobile homes, chalets, bungalows, cottages, Bengali, cottages, trailers, caravans, tipis and camping sites equipped for your holidays in Manche, our French campgrounds welcome you everywhere in Manche, a favorite camping in Europe. Have a great holiday camping with our campsites in Manche! You want to come on holiday to Normandy ? Camping “Utah Beach” receives families, friends and lovers for a dream holiday in Normandy. The camping is a 3 star camping site in Sainte Marie du Mont in the Manche department. The camping is located in front of the landing beaches. It guarantees you an unforgettable stay facing the sea, along “Utah Beach”. Camping Utah Beach is ideally located just a few steps away from the beach, south east of the Cotentin peninsula. It is a camping site near Sainte-Mere-Eglise and bordering Calvados and the Cotentin. The campsite Yelloh! Village Les Îles is an exceptional site that will delight young and old. Enjoy the fully heated pool area with paddling pool, water slides and indoor pool. For absolute relaxation, install yourself in our new mobil-homes and spend holidays in peace. Our bare pitches are equipped with individual sanitary facilities. Our animations will create your most beautiful holiday memories. Discover Granville and its harbors, stroll on the islands Chausey, Jersey and Guernesey. Visit the Mont Saint Michel bay. 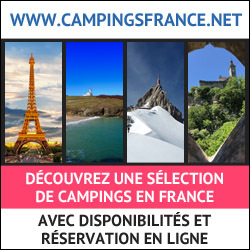 Lovely Campsite in the nature, very well classified with its Quality Charts, situated in Normandy. Enjoy the superb swimming-pool, some fishing in the lake, a fitness outdoor park, full of visits all around. Very good size pitches and moderns accommodation: tents, mobil-homes, chalets, gite. Also, mobil home for sale on site. Camping L'Etang des Haizes, for great life out'door.